This entry was posted in Racing on November 10, 2013 by Steve Tilford. Don’t really have that much time this morning, so I’ll just do a short recap of the race yesterday. 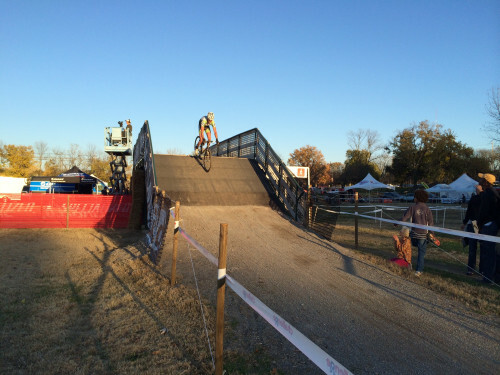 I finished 39th, which is the worst I’ve ever finished in a cyclocross in modern history. Even starting 100 guys back in Nationals I’ve finished better than that. But, it’s fine. I didn’t have any illusions about how I was going to finish. I have done nothing to really prepare for the efforts needed in cross. I’ve only race twice in the last 3 months and both of those races were long MTB races. I didn’t get such a bad call-up. I was 42nd. I thought the start went pretty well, I passed a big chunk of guys early, but by the time I got to Trudi, at 1/2 lap in, she said I was in 40th. That was surprising at the time. I would have guessed I was close to 30th. Anyway, I can’t pinpoint anything that really went that badly. I was just sort of bad at everything. Not close to up to speed on anything. Anyway, after two laps, I was 2 minutes back and realized that I was going to become a casualty of the 80% rule. It is hard putting much effort into a bike race when you know you are going to get pulled. I still tried to improve and ride smoothly, but was doing a pitiful job of that often. I was pulled when the leaders had one lap to go, so I had two. I didn’t feel that bad riding. My lungs hated it the most. I was coughing up stuff for a while after. But, other than that, I was just slow. The battle at the front was awesome. 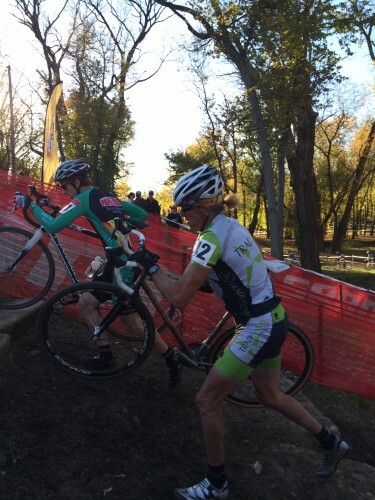 Ryan Trebon and Jeremy Powers changed leads two or three times the last 1/4 lap. It was an exciting finish. Should be just a good today. I hope to do a little better today. I need to make a bigger effort at the start and not get stuck riding around with slower guys at the start. I guess it depends on my random number draw. Okay, I need to get going. Not too sore from running yesterday. Thanks for the work shop help, and fixing my brakes. I tried some of your pointers on Sundays race, I was holding 8th,till my chain blew up. Now, thanks to you, I know I can be in the lead pack! It was great to get to see you race.I too know what that feeling is like to be pulled. Happened to my all of last year. Keep up the good fight and keep on keeping on !